V friendly and clean. Had a super 2 night stop there when I went to the spa pools. Kitchen v well equipped. Manager was v friendly. It was a bit chilly so the wood burner was lit. Was v cozy. 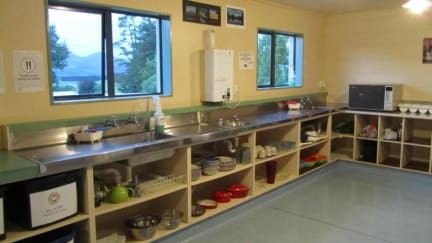 This hostel was so warm and clean. The staff were super friendly and there was a fire lit, extra blankets on beds and hot water bottles in the room. A really cosy place to stay in winter. 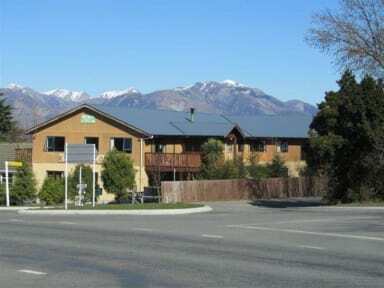 It's also in a great location, 2 minutes from the hot pools and where the bus from Christchurch drops you off. Great place to stay. The staff were helpful and friendly. This is a fantastic youth hostel to stay at - the staff are really friendly and welcoming and the hostel is spotlessly clean. Really nice hostel! Really clean and we had single beds in our room, the rooms are just a little bit small! The place smelt funny and there were loads of old people. The kitchen needs a revamp. What’s more, the lack of the lockers in our room for security made me sad. The hostel was empty yet 3 22 year olds were put in a 4 bed dorm with some old geezer who had a go at us for not going to bed at 10pm - yet he snored and kept us awake all night. No protection from the shower to our clothes on hooks which consequently got soaked. Booked here because of quality of other YHAs.. would reconsider next time.